Hope y’all are liking the not-so-new-anymore series on our blog where we are having Q&A sessions with inspirational entrepreneurs across Pakistan and India. 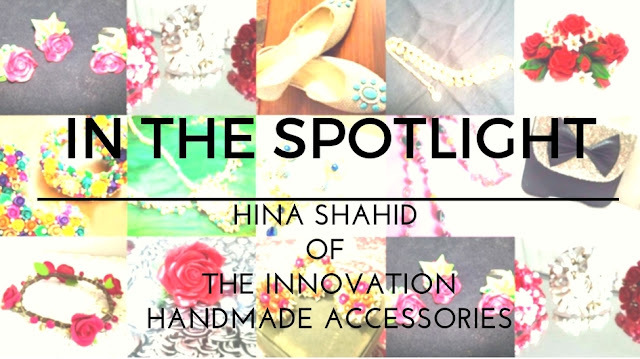 Today’s post is dedicated to the work of a very talented accessory designer Hina Shahid of ‘The Innovation Handmade Accessories’. Hina is a very talented accessory designer, who hails from Lahore, Pakistan. 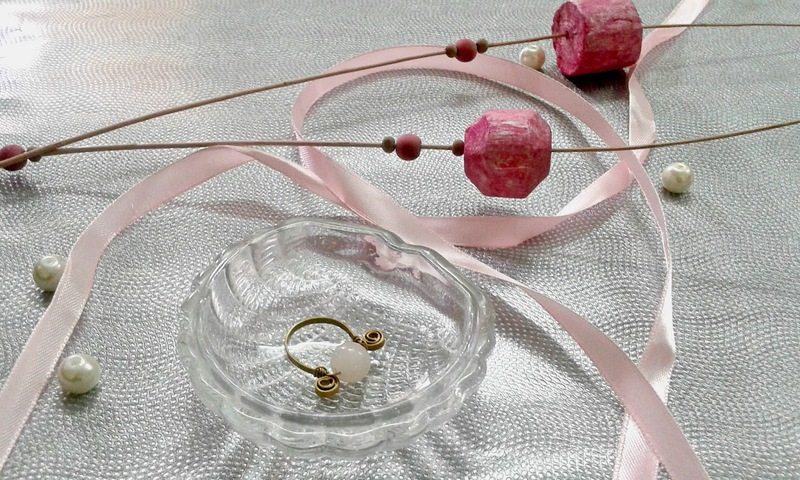 Her expertise is not limited to gota and dough jewellery only, but she also makes intricate wire jewellery and other accessories such as brooches, scarf pins, as wells as clutches and bags. She was awarded the first position among 250 other participants from across the country in a jewellery making course organised by the government of Pakistan. *Whoa* Hina was kind enough to do this Q&A session with The Brown Muses where she shared her journey as an accessory designer. Read on to know more about her collections, achievements, the challenges of her craft and her upcoming projects and much more. Q: How would you define the philosophy of your label? Hina: The word, “innovation” itself means the process making new things. 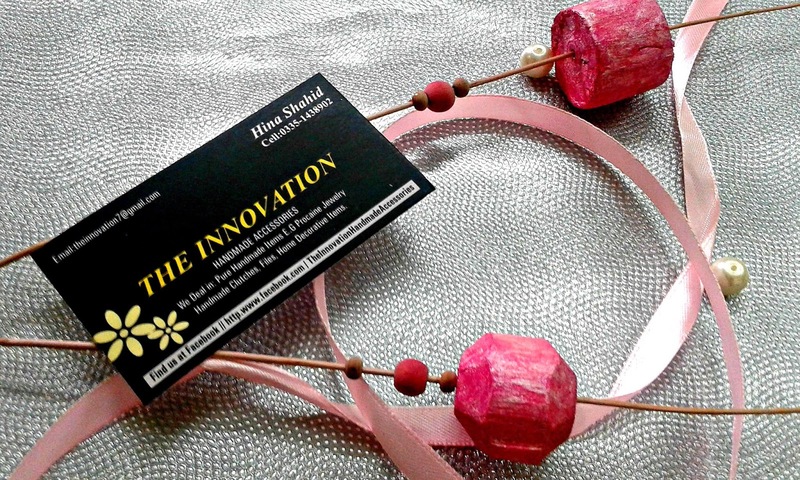 I labelled my brand as ‘The Innovation’ just because I keep exploring the world of art and craft. Each time I dig into the land of creativity, I find something new. Therefore, the name goes well with my interest in art and craft. Q: Do you do anything other than designing accessories? How did you get into the business of designing accessories? H: I do all of my household chores. I am also fond of cooking and baking, so I do that too. 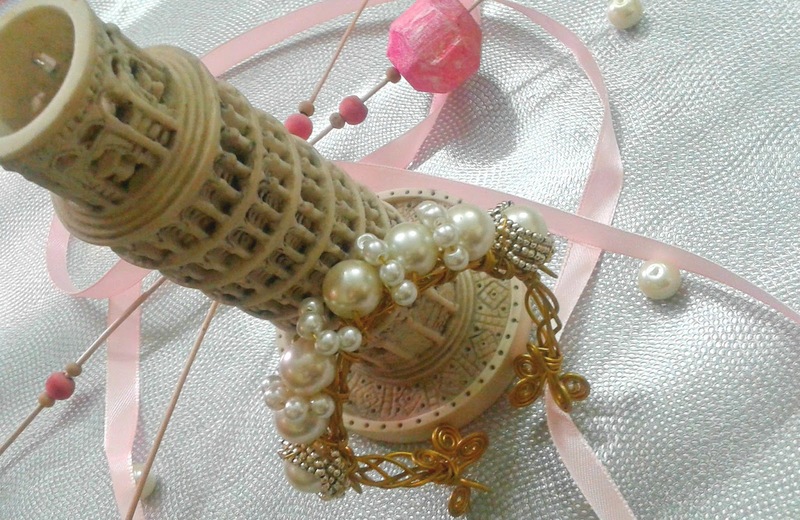 Well, designing accessories is not only my hobby but my passion too. So, I’d say my passion for art and craft brought me into this business. Q: Where do you generally draw your inspirations from? H: Nothing in particular. It could be just anything and everything around me. However, I often draw my inspirations from old pieces of jewellery. Q: You specialise in making ‘Wire Jewellery’ as well. Did you receive any formal training for jewellery making? H: Yes, I did a diploma for learning how to make wire jewellery and gems stones. It was a course offered by the government of Pakistan, in which I got the first position. I was personally honoured by Ms. Maryam Nawaz at the Prime Minister’s office, among 250 students from all over Pakistan. Q: Would you call it a skill that can be acquired by just anybody with some practice, or an art, which is all about talent and creativity? H: I’d say, both. It is a skill which requires talent and creativity as well. If a person knows the art but he or she does not have any aesthetic sense, then he or she cannot come up with new designs and unique stuff. Q: What are your favourites tools and embellishments to work with? H: All my tools are my favourite. As for embellishments, I usually prefer chunky beads in bright colours to use in my jewellery. Q: The internet is a great platform for entrepreneurs running small businesses from homes these days. Has it helped your customer base grow? H: Yes, I started my work back in 2013 and since then I’ve been into the business of selling traditional gota jewellery, wire jewellery and other accessories online. For running the online business effectively, one must have patience and plenty of time. Q: Have you ever thought of making theme-based accessories? Also, we would love to know if there are any new projects in the pipeline. 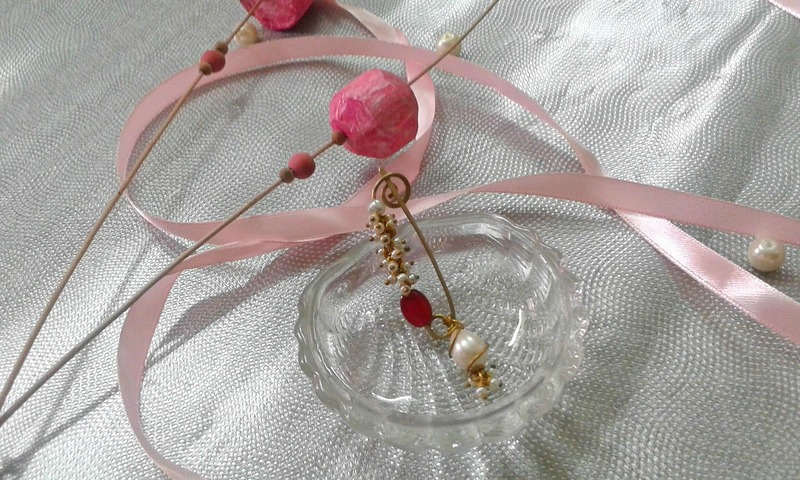 H: Yes, I have been making theme-based jewellery but in dough and gota but I’ve not made theme-based wire jewellery as of yet. Up next, handcuffs and new designs in rings and long chains are in the pipeline. Orders can be placed online by dropping a message to the brand’s facebook page HERE. The brand owner also takes customised orders but make sure you provide her with complete details of the colour, materials and embellishments of the item(s) you order. The brand charges offers Cash on Delivery facility as well as pre-paid facility for orders. Shipping charges of PKR 200 per kg apply on all the nationwide orders. Orders are dispatched via reputable courier companies such as BlueEX for COD orders and Leopards Courier for others. Once the order of customised jewellery is placed, delivering the order requires up to 15 days. 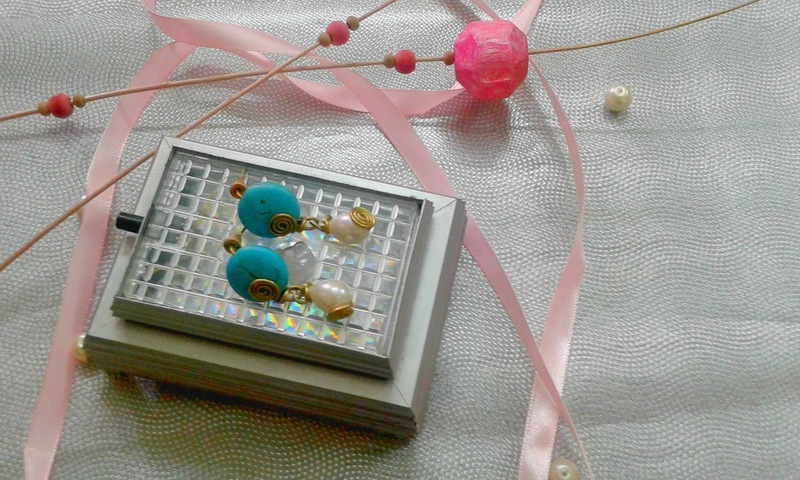 I got my hands on her wire jewellery and accessories, the review and clicks of which can be seen HERE, so I would strongly recommend getting your hands on her wire accessories, including scarf pins, handcuffs, and rings embellished with beautiful pearls and stones. You can check out more of Hina Shahid’s work and place your order on her brand’s retail facebook page HERE. Deal with your lethargy and share feedback on the post in the comments' section below.